A Former Coworker Plagiarized My LinkedIn Profile » 4 Tips to Make it Stop! 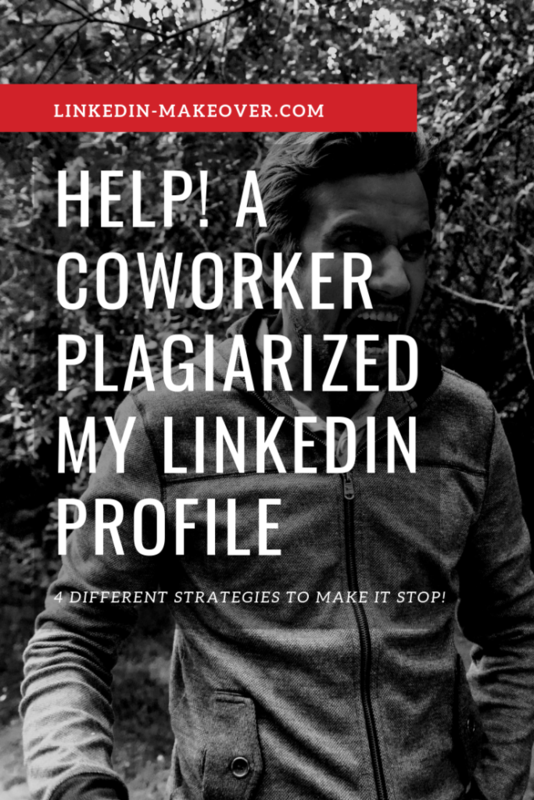 I’ve written about LinkedIn profile plagiarism in the past. It’s still very much a hot topic and I often get emails from people with additional questions. The most popular question is: what do you do when a coworker plagiarizes your LinkedIn profile? I read your article on this subject. But what if the plagiarizer is someone you know, and even like! Yes, you guessed it, a former coworker plagiarized my LinkedIn Profile! Worse yet, we have 135 people in common! Without sounding snobbish, I know that people who know both of us, would know that this isn’t her writing or her personality. And ideas how to handle this? Change your LinkedIn profile so it’s EVEN BETTER – heck, hire us to write your LinkedIn profile so it’s beyond impressive! Let it go. Maybe no one will notice. Put your energy into something else. Smile. Love. Help somebody be better. Whatever way you go, I wish you the very best of luck. This is a tough situation to be in but I am sure you will do what’s right for you. 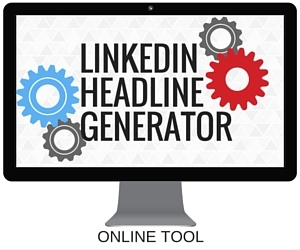 Donna Serdula pioneered the concept of LinkedIn profile optimization, realizing early on that the LinkedIn profile was so much more than just an online resume. The LinkedIn profile is an amazing opportunity for branding. Through her Website, LinkedIn-Makeover.com, Donna and her team of 40 writers, help thousands of LinkedIn users strategically write their profile in order to engage with their audience and grow their brand. The author of LinkedIn Profile Optimization For Dummies, Donna is an in demand speaker throughout the US and has been featured in Time's Money Magazine, Business Insider, Wall Street Journal’s Market Watch, LA Times, NBC, SiriusXM Radio, and many other news outlets.